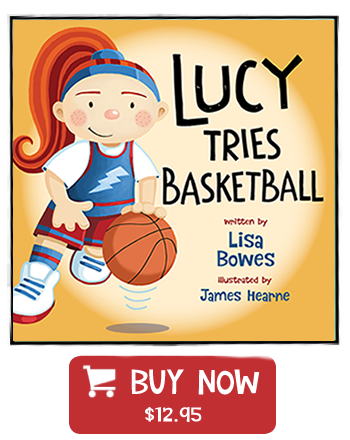 Lucy and friends are out on the playground when they spot Ava playing basketball with her cousin Jermaine, a professional player. Jermaine calls the kids over for a lesson on the fundamentals of the game and to play three-on-three When the kids finish, Jermaine invites them to watch him play in a pro game. Lucy, Ava and friends cheer on Jermaine and his teammates, keeping an eye out on the real court for the skills they learned at the playground. Lisa Bowes developed her stories around the HIGH FIVE principles of healthy child development needed for quality programs, including the support of a caring adult, the opportunity to participate, to play, to make friends and to master skills. 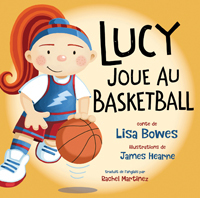 Lucy's basketball fun, simultaneously published in French! Learn more.